In most articles on pubmed it is concluded that, although some of the negative side effects of some UV-filters, wearing sunscreen every day is better than not applying sunscreen at all. For now I just believe that is true, although looking at this article (http://www.ncbi.nlm.nih.gov/pubmed/17015167) on Octocrylene producing more ROS than control after 60min and many others about free radical production and hormonal activity/allergic reactions, I wonder if we will find in 25 years some filters weren't as good as we thought. With that in mind I would like to have a sort of idea what uv-filters have the least possible side effects. I think you could definitely rank sunscreen actives, considering possible photodegradation, hormonal activity, ease of absorption, formation of free radicals, possible photoallergic reactions and the size ("the Dalton rule"). I've ranked some uv-filters, what do you think is the data/ranking correct? That's a very detailed list Peter, Thank you for sharing. I prefer Zinc oxide despite the chemical sunscreens getting higher PPD. Peter: Thanks for compiling this list. Do you have a link/links to where you found this info? Thank you very much for this list! The sad thing is that all these organic sunscreen ingredients sting my eyes and irritate my skins. I have a sunscreen with Uvinul A Plus that's a lovely texture but boy... my eyes and skin hurt. I think I have to switch pure inorganic sunscreen with just ZnO. Escherichia, what a shame that your skin is so sensitive! Sunscreen is important to me because of where I live. The sun UV rays here are bad and we have one of the highest cases of skin cancer in the world, 2 out of 3 aussies will be diagnosed with skin cancer by the time they are 70. It's spring now and soon summer, so I am definitely catching up on sunscreen news. Peter: What are the criteria used for the ranking? Really pleased to see that some of the chemical filers have "Photodegradation: none". I always thought that all chemical filters degrade under the sun. Yes indeed... Im now applying betaderm to my skin because it's red and itchy. yikes @escherichia I just googled betaderm and it is a steroid! Not good used long-term. I do sincerely hope your skin is able to repair itself asap and the acid mantle healthy again! My husband had a nasty reaction to undiluted tea tree oil & the summer heat and needed steroids + antibiotics. Using natural products help us minimise the usage of steroids/cortisones. One more, Bisabolol derived from Camomile. Care to share which physical sunscreens u use? I just tried the Badger's sunscreen (18% ZnO) which I ordered a week ago. It's awesome in that my skin feels completely calm and my eyes don't burn even when I rub it into them (testing haha). BUT, the white cast is major. Sigh. Randy, may I ask if the ZnO% matters in sunscreen? I read somewhere (can't remember sorry) that percentages of ZnO and TiO2 matters for SPF protection/UVA protection. What do you think? Does the protection decrease linearly with % amounts? I'm confused? Who is right? PHEW... Thank goodness your skin bounced back quickly! You got me worried. Bear in mind that i am based in Sydney, Australia so the sunscreens available here may differ from you. I tend to favour sunscreens containing Zinc Oxide. However after a mild sunburn this week (it's Spring now) i am rethinking if i should stick to Physical only sunscreen... so far i have been using physical+chemical mixes. What was interesting was that I used one layer of 24.96% Zinc Oxide sunscreen on my neck and no burn there! I do not have allergies like you but I am thinking of that "chemical sunscreen absorbs theory"
In Australia, that is the strongest Zinc Oxide sunscreen. It is available overseas too, it's the brand endorsed by Elle MacPherson. Have referenced to Stephen's blog post in my blog before. It's well written. I did read other sources that support that it isn't as straight forward that ALL physical sunscreen REFLECT. Another myth busted is ALL Chemical sunscreen degrade under UV as confirmed by @Peter. Will be interesting to try this 27% zinc oxide sunscreen. I know it will definitely not be makeup compatible and it will require a cleansing oil to remove (since it is water resistant). @escherichia I think Badger makes very good sunscreens. I have yet to try them but i think you'll be alright if you use them. Would love your feedback on how makeup compatible they are. RandyS I think @escherichia raised a good question about the quantity of physical filters and the correlation to UVA and UVB protection. As you can see in the photo above, both sunscreens are rated SPF40. 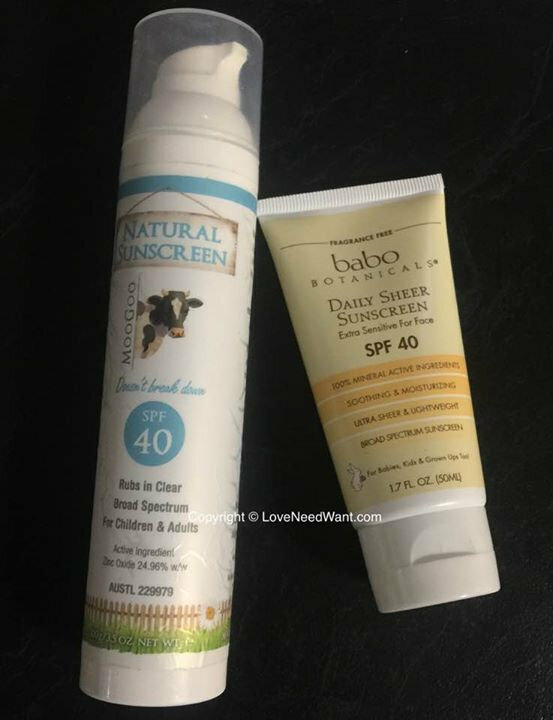 The one on the left, Moogoo was rated SPF40 by Australia TGA and the one on the right Babo Botanicals was rated SPF40 by US (presumably FDA). Both sunscreens are not rated with PPD, so we can only guesstimate the UVB protection is similar. 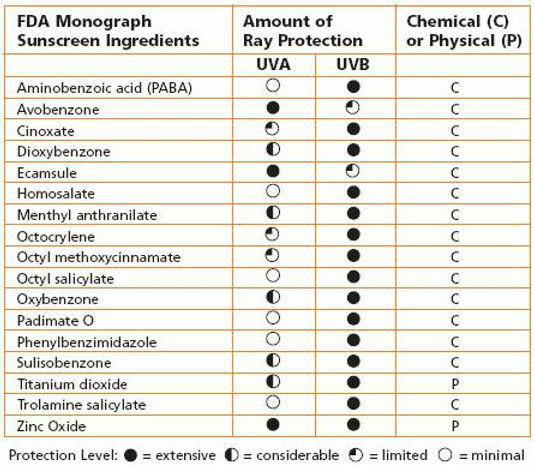 Based on EPA's chart, i am guessing Mogoo's sunscreen to have better UVA protection. The other differences are obviously there are different sunscreen testing methods/standards across different countries. US have very strict standards and similarly the same here in Australia. The common complaint about Zinc Oxide + Titanium Dioxide is the white cast. Microsizing it seems to help reduce the white cast (though not 100%). I have taken swatches of the physical sunscreen i have used and shared on my blog, even when they say it is "invisible", it is definitely NOT invisible! As I have a fair complexion, the white cast does not worry me as much. As seen in many sources and corroborated in the above article, The size reduction of microsized ZnO and TiO2 increases UVB absorption of both particles at the expense of UVA absorption. Am particularly concerned about the production of ROS which @Peter pointed out too. The links where I found this info is hard to say. I've been studying sunfilters for the last 4 years. All the info comes from studies on Pubmed and from books about Photodermatology. I've made an extensive list (that I can't post here unfortunately), all with references, this is just a summary of what I found. Colipa, 2012 safety assesment of sunscreen ingredient. These reports contain a summary of all available literature and studies worldwide of the specific sunscreen ingredient (this is my main source). My criteria for ranking: what I find most important is that sunscreens don't have hormonal activity, are not easily absorbed, are not prone to photodegradation or are common (photo)allergens. What I didn't consider was if they leave a white cast or if they have an unpleasent skin feeling for example. The newer sunscreens like Tinosorb and Uvasorb HEB don't show any photodegradation, after irradiation, 100% of the sunscreen is recovered. Some show some degradation, eg 3%, but even then I consider it as none. Octisalate or Avobenzone, without stabilizing, can degrade with 30% to 55%. Although stabilizing reduces this, you don't know exactly for how long, if it will last during the whole day, and if there may be iteractions with other ingredients (like your powder with titanium dioxide). Knowing there are really stable ingredients, I would rather choose the stable ones. I'm not saying you should avoid all sunscreens, only the filters from 22-27 are doubtfull, and in my opinion should be avoided. Based on the percentage of Zinc Oxide doesn't tell you anything about the SPF-value of a product. There are so many factor influencing that. In general the UVA-protection will drop micronizing Zinc Oxide, while the UVB protection will increase as @preciousia explains..
@Peter You certainly are very knowledgeable about sunscreens and that shows. I like how you ranked the ingredients. Effectiveness is key and white cast/discomfort is not as important (to me at least). What a labour of love that you share with the rest of us! Thank you, Peter! so appreciative of your research. Tinasorb has been around for a while so, I believe that there had been adequate research. Do you know if the research is independent (aka not funded by BASF)? @Peter ; Tinorsorb absorbs UV. My concern is what really happens to the skin when sunscreen is absorbed? As I suffer from mild pigmentation due to my fair skin and genetics as well as UV damage, I was advised to use "physical sunscreen" like titanium dioxide and zinc oxide by the dermatologist. As you have researched, it's not completely "reflective" of all the sun rays, some of it is absorbed as well. I pressume the research is independant. The articles from Colipa for example are used for approving sunscreen actives in Europe, they only used independant good quality research. The real non-nano physical sunscreens reflect most of the UV radiation, however "recent findings indicate that the primary means of protection is by absorption (95%) and the remaining 5% by scattering and reflecting" (Wang, 2016: Principles and Practice of Photoprotection p.168). A sunscreen like Tinosorb M has a similar way of protection, mostly absorption, but also some reflection and scattering and it gives good UVA protection very far in the UVA-spectrum. So a very good hybrid. Uvinal A Plus is like an improved version of Avobenzone, very good UVA protection and very stable. Ethylhexyl Triazone offers very high UVB protection, meaning very low concentrations are necessary to obtain high SPF numbers. Uvasorb HEB is considered an improved version of Ethylhexyl Triazone. 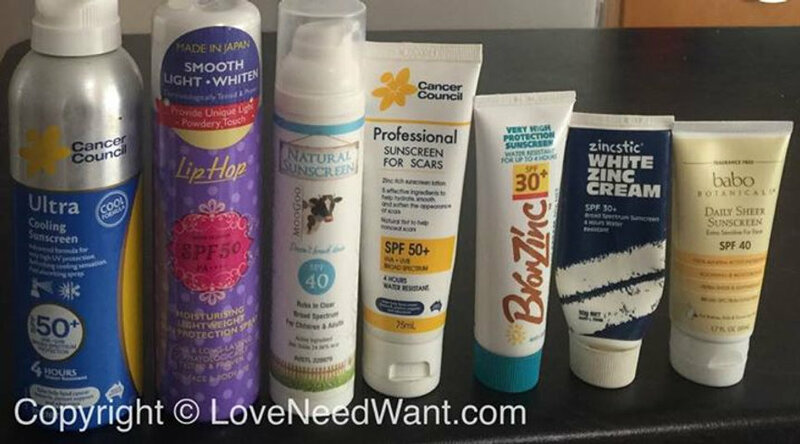 It depends on where you live what sunscreens you can choose from, I think the first 8 sunscreen actives really are a step ahead of the other actives in my list, but they are not available in every country. @Peter ; Assuming that coating ZnO and TiO2 removes the risks of ROS completely. How would you rank ZnO and TiO2? For this summer, i am sticking to Zinc oxide. I just got burnt again by UV8 on Sunday despite brief exposure to the sun, we cancelled going to the beach. My friend suggested that I avoid chemical sunscreens completely and stick to physical mineral sunscreens totally. So good to know that the research is independent. Tinosorb S which you ranked number 1 has been approved by the European Union since the year 2000, also approved here in Australia. I am going to try a local brand Skinstitut's sunscreen that contains Tinorsorb S, Tinosorb M + antioxidant (which will be good for IRA). 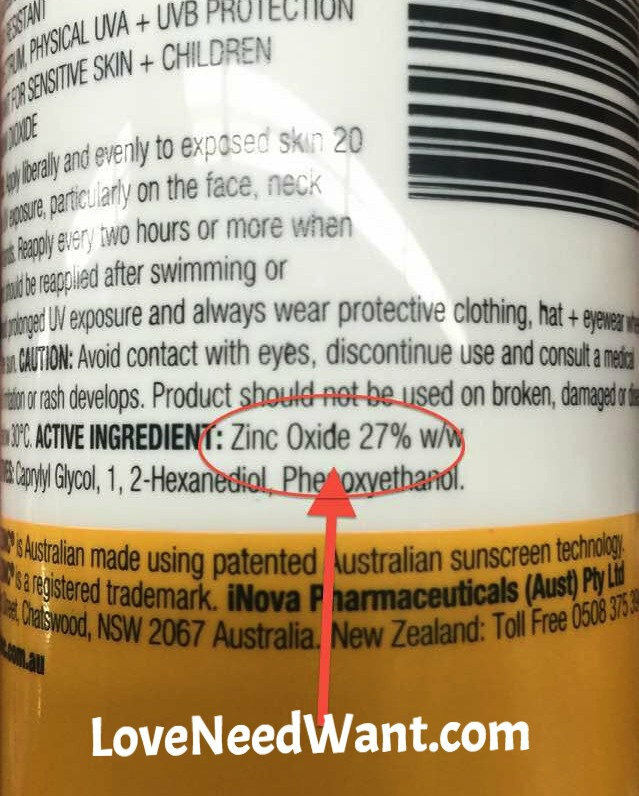 My new addition to my sunscreen wardrobe is the 27% Zinc Oxide i have recently bought. I'll start using this on the face tomorrow. It's meant more for the body but after 2 recent sunburns in a mere week, I think I need to play it safe. despite my efforts of wearing a broad brim hat, high SPF sunscreen in thick layers as advised by the dermatologist, sunglasses, seeking shade... it's not enough. Also just bought today, another French brand mineral sunscreen. What other ingredients should we look out for total photoprotection? Some notes from this article: http://www.skintherapyletter.com/2010/15.4/2.html They mentioned antioxidants, osmolytes, and DNA repair enzymes. I'll be testing the sunscreens under Australian sun. May the best sunscreen win. Probably not up to the standards in Australia, but I use Blue Lizard for Faces on my face. Their advertising says they use Australian standards for formulation, hence the name. Cosmetically elegant, no. Effective? Yes. It worked well in the Caribbean while on vacation in September. It is zinc oxide based. To reapply I used Neutrogena Ultra Sheer Face and Body Sick Sunscreen. I wore a hat and sunglasses at all times when outdoors. Here are links to both items on Amazon, for reference. The stick was easy to carry and to reapply. For other exposed skin, on beach days, I used Water Babies by Coppertone (zinc based) as a base and reapplied with Ocean Potion spray spf 50 (that one is reef friendly, the spf 70 is not - rub it in after spraying on!!) every hour and a half or so. I can't take much sun so I covered up before I had too much exposure to the sun. The Caribbean was a challenge because of mosquitos carrying the Zika virus. Using insect repellant makes the sunscreen less effective and using sunscreen make the insect repellant less effective. I elected to get a spray to treat clothing and gear with and to wear long sleeves and long pants. Thanks to all those who have contributed to this thread. Highly interesting! The research on Zinc Oxide and Titanium Dioxide concludes by saying that the formation of reactive oxygen species can be reduces up to 99% by coating them. Also the particles are not absorbed further than the stratum corneum. There is some uncertainty about the stability of the coatings and the penetration of the particles. But if you believe the final opinion they certainly are very good filters. 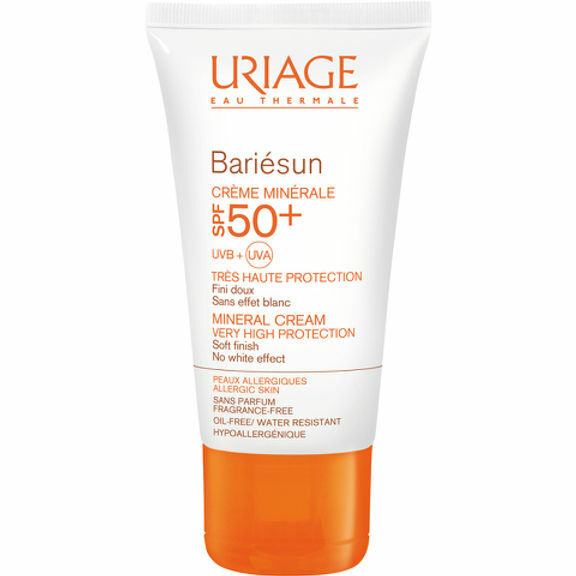 I've tried the Uriage sunscreen but it does leave a white cast. Tinosorb M can leave a slight white cast as well though, the Avene Emulsion Fragrance free contains for example Tinosorb M, Tinosorb S, Uvasorb HEB and Avobenzone. About the other ingredients for protection against IR. Well UV-filters absorb radiation and turn this in to heat, so into IR radiation. Theoretically the particles that reflect or scatter the radiation will generate less heat (physical/Tinosorb M). The combination of Vitamin C/Vitamin E is a golden standard, but also ingredients like Resveratrol, Caffein, Ubiquinone, Grape Seed Extract and Niacinamde have been researched quite a lot. After getting burnt 2x in a week with my physical + chemical sunscreen, i had to be careful. I am very fair, and i use tretinoin so that makes me more photosensitive. @Peter Is it safe to say that if we stick to the established brands, that the technology of coated Zinc Oxide / Titanium Dioxide will be stable? Nothing is 100% But I guess 99% is good enough for me. There is no perfect sunscreen as Dr Todorov of smartskincare.com has concluded. There are pros and cons to both physical and chemical. For physical filters, I rather get a more "water resistant/rub proof formulae" that doesn't rub off easily. I noticed with my Moogoo zinc oxide sunscreen, i tend to rub some off without realising. If it results in a cosmetic unfriendly sunscreen, I'll bear and grit with it. Reapplication of sunscreen is another headache for us gals. Reapplication over makeup is very difficult. Any idea if Zinc Oxide / Titantium Dioxide is toxic when breathed in? I thought i read it somewhere but am not too sure. @lindygirl1960 did mention a very good point about reef friendly sprays! Any idea what are the culprit ingredients that are not friendly for the marine life? And wow, many thanks to Peter and Preciousia. Such valuable info. Very cosmetically elegant. Dries down to a matte texture, not tacky etc. Preciousia might wanna check out this too. NO white cast since it's mainly chemical filters. Unfortunately, I'm allergic (I think) to all chemical filters so I can't use this. I have like 4 brand new bottles of this sitting in my closet... I dunnoe what to do with it haha. It's just so frustrating that I can't use them because obv, they are good sunscreens. argh. Badger's sunscreen feels good on my skin. I bought one but gosh, the white cast. I don't think I can use this. Even a very thin layer makes me look like a ghost (I'm not pale enough haha). I may use this at home.. how do you put BB creams over your sunblock to offset that white cast? I find that anything I put over my sunblock disturbs the layer. I think you should try Asian sunscreens if you can take chemical filters. I'm not a sunscreen expert but if you put on 27% ZnO sunscreen on your skin and u are still burning... I don't know. Did you apply a thick enough layer? 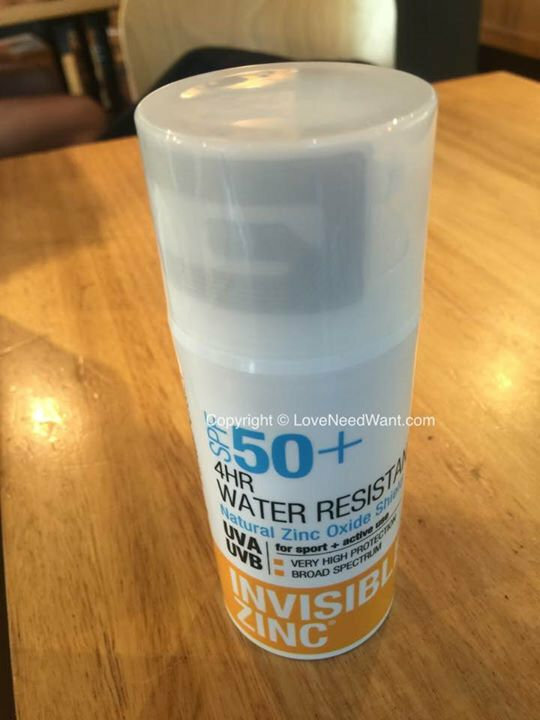 The high ZnO sunscreens u use; don't they give you a white cast? Badger's 18% ZnO gave me white cast. Avene's mineral sunscreen (20% IIRC?) too. I'm really getting a bit downhearted now. I think there's just no way for me not to look like a ghost with high ZnO sunscreens. In the end, I ordered a Korean physical sunscreen (no % of ZnO or TiO2 listed so prob low) that my friend likes (i.e. minimal white cast) from ebay. I think the more important thing is for me to have minimal sun protection rather than go out with NO protection because of the white cast. My blog is new, I have only started 14 May this year. Less than 5 months old. Some of the links i have shared, are hyperlinks, the words should appear red on your screen, so you can just click on them, you can see more. There's a method to applying foundation / bb cream over white cast mineral sunscreen. Dr Sam Buting, a UK based dermatologist trained in Cambridge and London shared it. Click here for more info. In short, I use one of those sponges eg beauty blenders the good doctor recommends.